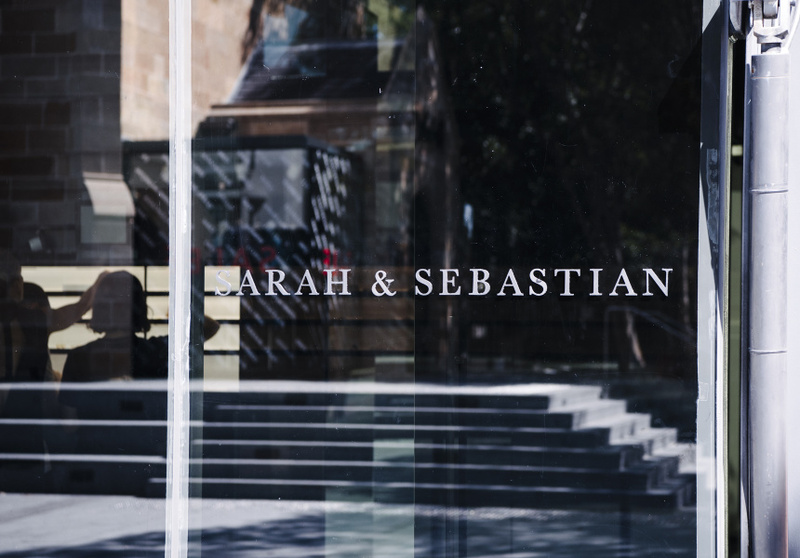 Sarah & Sebastian’s flagship store in Paddington isn’t the jewellery label’s first foray into retail – it has a showroom at its Alexandria workshop – but it’s its first dedicated store. The space is faultless in its reflection of the minimalist jewellery. 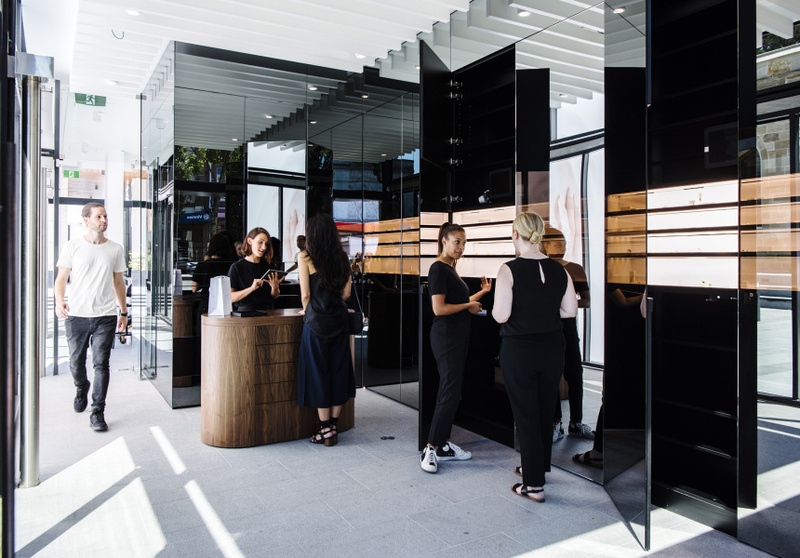 It’s a rectangular, dark-tinted glass box that reflects the heritage sandstone building of Parlour X across the square. Designers Sarah Gittoes and Sebastian Grynkofki wanted to keep an element of the workshop in the retail store, so a copper and wood jeweller’s table is the focal point of the room. Its rounded lines stand in contrast with the angular space. 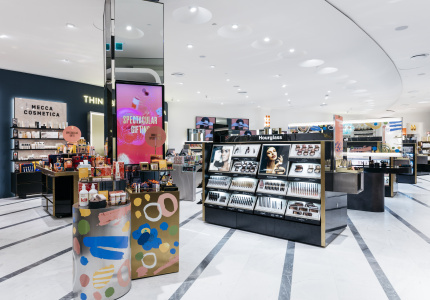 Behind it a wall of darkened mirrors come alive when light boxes reveal the label’s exquisite, slender pieces. Sarah & Sebastian’s service model is one-on-one. When you visit a jeweller talks you through the raw materials and the maker’s process, and then uses the lights to showcase different windows that contain the collections. As always, pieces are made to order, although there are some items from the core collection that are available for sale.